Gail Albert Halaban. Italian Views. Photographs and Text by Gail Albert Halaban. Text by Francine Prose. Aperture, New York, 2019. 128 pp., 11¼x14". 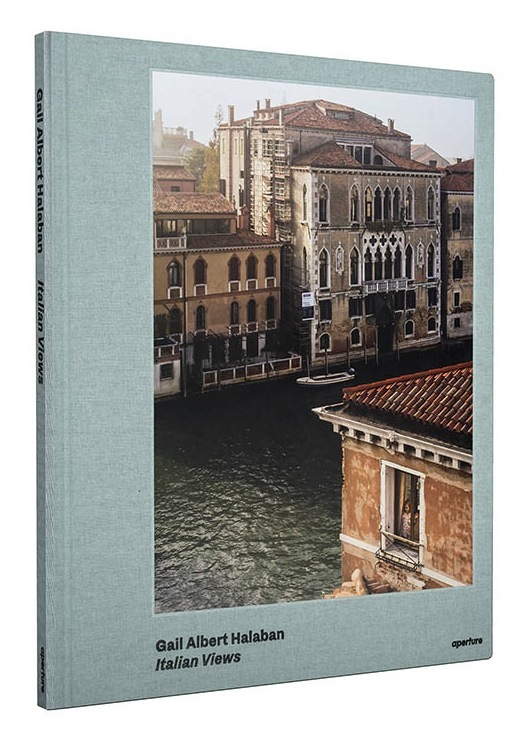 Italian Views is a continuation of Gail Albert Halaban’s series Out My Window, featuring intimate domestic portraits against the cinematic backdrop of the city. In this new chapter, the artist shifts her focus from Paris to Italy―steadying her gaze through the windows of others in communities throughout Florence, Milan, Venice, Palermo, Naples, Lucca, and Rome. Albert Halaban works with local residents to stage and collaborate on each portrait, and through her lens, the viewer is welcomed into the private lives of ordinary Italian people. Her photographs explore the conventions and tensions of urban lifestyles, feelings of isolation in the city, and the intimacies of home and daily life. Paired with the photographs are short vignettes by Albert Halaban, imagining what the neighbors might see of her subjects on a daily basis, and Francine Prose contributes a meditative essay discussing the curious thrill of being a viewer. This invitation to envision the lives of neighbors through windows renders the characters and settings of Italy personal and mysterious.